It’s Easter Sunday. A day where death was turned into life. Where everything changed for me. The day I began to really live. Easter means a reason to celebrate. A reason to go on. More than just something we do once a year – it is something that holds meaning for us who know Jesus – every day of the year. It means that even sin and death cannot separate us from the love of God – shining down and moving within us. It is the final victory – our anthem carried deep in our hearts and it is our ultimate theme song. A risen Jesus – no longer imprisoned or confined to death’s agenda – breaking through that icy grip of Satan and presenting us with that same power to sustain our ordinary lives – give us a new reason to exist – not be enslaved any longer to sin and most of all to give us an opportunity to live with renewed hope for the future. I am praying that you too would know this risen Jesus – and let His love shine down on you. I’m loving this season that I am in. Greg and I are building relationships with people in our small church and our small group in particular. How wonderful it is to discover what happens when people find themselves colliding on a journey – and you link arms and say, “Let’s do life together” It is what the church is all about. People. Relationships. Love. And so we have in fact ‘linked arms’ and meet together to discuss our pastor’s messages from the Sunday morning before. It is a refreshing and sweet time. 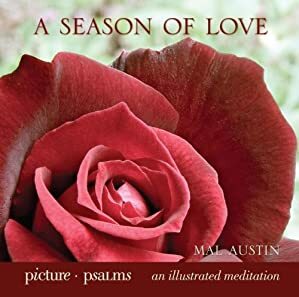 A season of love. I am also discovering new blogging buddies and finding words of encouragement and camaraderie from people who have been through similar situations along this journey that I am on – and it’s a wonderful ‘God thing’ that they have been placed in my path. Their transparency and honest approach to past failure and situations in the church – puts me to shame – as I feel I have had to be careful what I say and what I reveal, even though I too have tried to express my heart clearly and without apology. These individuals have been a daily encouragement to me and through this wonderful gift of writing – we are discovering that we are not alone – and that God has wonderfully brought us together to share, relate and validate. It is a season of love. And then there are the things that are not so well – a family situation that can have no happy ending. But again – it is an opportunity to see just how God is going to work on our behalf – working behind the scenes to bring about restoration, reconciliation and forgiveness. He is big on all three of these – and it is exciting to know that He will always be a God that draws us to His very heart – a heart of grace and mercy. He is always interested in our heart when we deal with difficult situations – and so even in difficult situations – we attempt to keep things right in our own hearts – and not allow bitterness or pride to hinder us from seeing the truth – and we pray that for others as well. It is an opportunity for God to truly speak and an opportunity to build character and integrity. It is a remarkable season of love. I am praying for each one of my readers today – that you will allow whatever situation you find yourself in right now – to be an opportunity for that ‘season of love’ in your own life. May the love of Jesus be your focal point as you look out on the things that are happening all around you. And as you focus on that love – I pray something will happen in your own heart and life – a change from within. May it give you clear perspective as you love others in your world that desperately need it today. Below is the song from the musical “Rent” – great song about love. This link will take you to another screen. Click on ‘view on youtube’ to see and hear the song. It’s a great one!